The No. 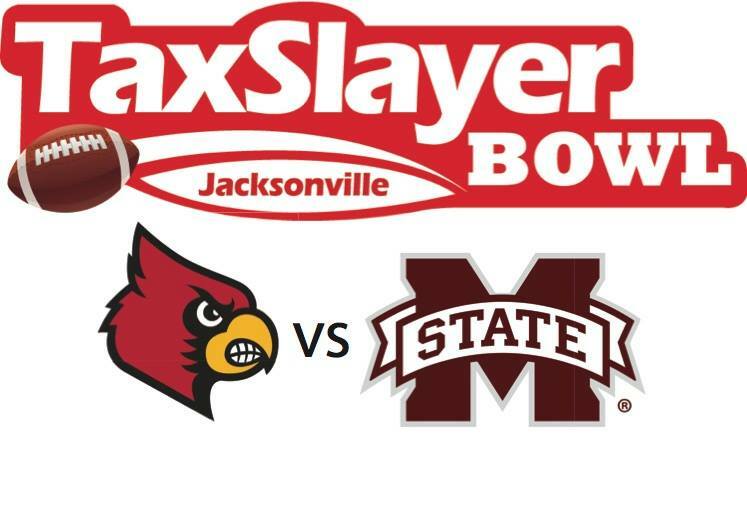 23 Mississippi State Bulldogs will play against the Louisville Cardinals in Saturday’s TaxSlayer Bowl. Coverage of the TaxSlayer Bowl (notice how it simply reads as an advert so I cannot precent myself from listing the sponsor) will air on ESPN and the WatchESPN App beginning at 12:00 pm ET from EverBank Field in Jacksonville, Florida. There are plenty of tickets available, starting at just $14 according to my searches, for the game between two 8-4 teams on Saturday. Louisville won their last three games while Mississippi State had two loses sandwiching a win over Arkansas. The Odds: Louisville began as a 5 point favorite but that line has moved up to 7 points now. The over/under for this game is currently 63 total points. Comment below with who you think will win this year’s TaxSlayer Bowl.